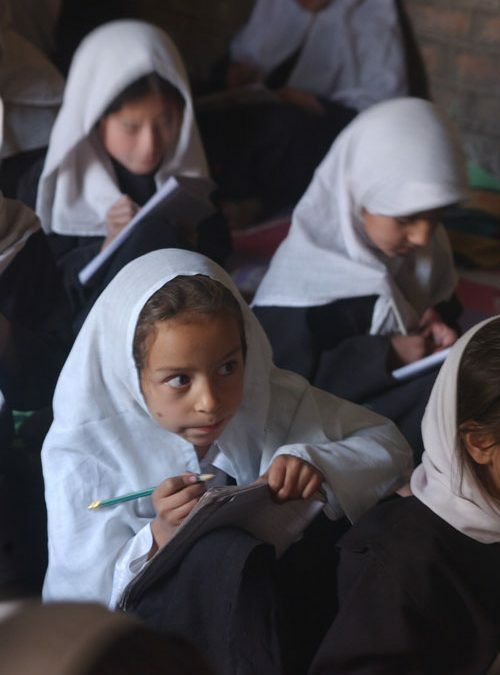 Is Providing Education for Girls Enough? At an event in Morocco in late June, First Lady Michelle Obama stated that 62 million girls around the world today are being denied a basic education. This is an incalculable loss to humanity. Statistics show that one educated girl in a family can break the cycle of poverty in just one generation; more than sixty percent of illiterate people in their early twenties—a vital age to create a career foundation—are women; literate mothers can increase the chance of their child surviving past the age of five by 50%. Nobody in developed countries will argue against education for all. The word educate has a root in the Latin word “educere,” meaning to bring out—not to pound in. The foremost and ultimate goal of education is to bring out one’s full potential to learn, to create, to think, to analyze, and to live a full life. As unconscionable as the restrictions on women in some nations appear to us in the United States, even our more sophisticated, developed education system denies girls—and boys—access to their full potential. If a school system in America did not provide lunch or lunchtime to its students, it would be held morally, civilly and legally responsible. Fortunately, food and the time to eat it are provided, but what is lacking is a program proven to develop the full potential of every student’s mind. When a student heads for the classroom being exhausted, stressed, anxious, malnourished, or fearful or angry, they start classes at an extreme disadvantage. Studies verify that poor diet affects attention and grades, insomnia affects attention and grades, and so on. Changing the lifestyle of students to a physically, mentally and socially healthier one is bound to support their comprehension, memory and academic achievement. Again, very little to disagree with there. Where the public, public charter and private schools fall short is in offering each student a proven way to enliven her full brain capacity. If nobody knew of such a technology, it would be just the way things are. But there is an evidence-based, harmless, natural, non-religious program that all students can learn regardless of race, beliefs, location, financial status and attitude. Beginning in the mid-twentieth century, researchers began to study the mental, physical, behavioral and societal effects of the Transcendental Meditation program. At that time, the TM program was receiving a lot of media attention, and because of that, along with grass-roots word-of-mouth information, TM classes were drawing high numbers of students. Researchers found that the TM technique created a state of profound restful alertness: a unique state of deep physical and mental rest with enlivened consciousness. From that time until now, more than 380 peer-reviewed studies have been published on TM, showing a host of benefits in all aspects of life. Some of the most recent research has been on the brain. Daily practice of the TM technique provides repeated experience of more profound, coherent levels of thought, unfolding the mind’s inner potential, and awakening the brain’s latent resources. Published research shows that the technique enlivens the function of the prefrontal cortex, often called the “CEO” of the brain, allowing for more organized thought and better decision-making. A study published in Human Physiology showed that early sensory components of the brain’s response to stimuli are more widely distributed across the cortex, which indicates greater participation of the whole brain. Furthermore, research has shown that the daily experience of this state of restful alertness leads to improved learning ability, higher IQ, increased creativity, more efficient brain functioning and higher moral reasoning. Dozens of peer-reviewed journals have published studies verifying that Transcendental Meditation increases EEG coherence (promoting orderly thinking), increases blood flow to the brain (indicating enlivenment of brain capacity), increases flexibility of brain functioning, mobilizes latent reserves of the brain, increases intelligence and creativity, reduces stress (stress can impair brain function), and improving memory. In America, 25% of teens suffer from anxiety, 6.5 million children have disabilities that impair learning ability, about 3 million children use ADHD medication and stress is rampant, impeding learning and undermining health. › significantly reduced suspensions, infractions, and violence. With all this empirical and scientific evidence, it is remarkable that more educators aren’t insisting on implementing the TM program in school settings. James Dierke, Executive VP of the American Federation of School Administrators, introduced the TM technique into his failing San Francisco middle school about a decade ago, and it turned the school around in every way. He wrote that the TM program in schools was the most powerful, effective program that he had come across in his four decades as an educator. He said, “It is nourishing these children and providing them and immensely valuable tool for life. It is saving lives.” Carlos Garcia, Superintendent of the San Francisco Unified School District publicly praised the program and stated that it should be in every school, and he encouraged support for the implementation of TM in more of his S.F. schools. Stress-free schools filled with happy, healthy students and inspired teachers is the ideal environment for learning. Because, with the Transcendental Meditation program, this is a realizable goal, parents, educators, and administrators need to take a serious look at why there are obstacles to its implementation in schools today. If children don’t learn, if they don’t graduate, if they abuse drugs and alcohol, if they become incarcerated as they move into later teen years and adulthood, the fault is ours. Denying girls an education is an unspeakably deep injury to their potential, well-being, self-esteem and even their spiritual health. 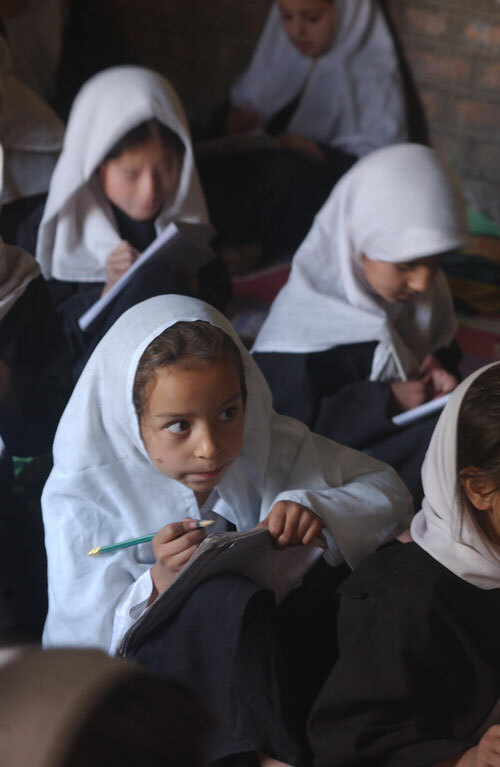 In our country, where we know that is true, we have to acknowledge that we must also equip a girl with an essential and proven tool for her best chance at achieving the goal of the education we provide—a life of fullness, achievement, and harmony with all.